You are here: 3B Training > Health and Safety > What is a Face Fit Testing Open Day? 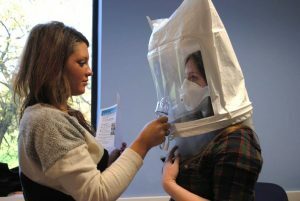 What is a Face Fit Testing Open Day? Want to know more about the Face Fit Testing Open Day and how it can benefit you? Take a look below at how the course is structured and what you can learn from it. Is Face Fit Testing a Legal Requirement? Face fit testing is a legal requirement if your occupation requires you to wear a good fitting mask to conduct your work. In order to follow regulations such as COSHH, CLAW, CAR and the Ionising Radiation Regs’, a face fit test should be carried out on the relevant workers. 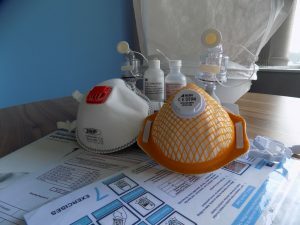 On the Face Fit Testing Open Day, one of our trained advisors will simply conduct a qualitative test on you to ensure that you have a proper fitting “dust mask”. You are required to bring your own mask to the session and we will assure that it is tight fitting to your face. To find out more about the course structure, take a look at our Face Fit Testing page here. Due to the course being just an hour slot you can drop in at any time during the day; such as when you finish work or on a dinner break. This also helps to lower the congestion of an overfilled course and saves anyone waiting around for too long to be tested. 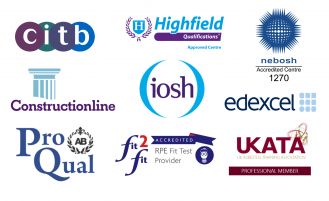 The course is delivered by either a Fit2Fit or 3B Training accredited tester, so, therefore, you are guaranteed to be tested by someone who is competent in Face Fit Testing. The course is just £40 per person; it doesn’t break the bank and can be booked over the phone or online. 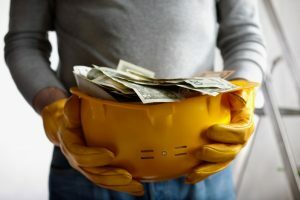 Do want to Face Fit Test your own workforce? We also deliver the Face Fit Testing Workshop course nationwide. During the course, you will be taught the theory behind face fit and how to conduct the test yourself. Find out more about the course or view our upcoming dates here. If you would like to find out more about the Face Fit Testing Open Day you can contact us here or you can book a slot online here. Here is some information on different types of PPE, when they should be worn and when they are not effective. Read more here.